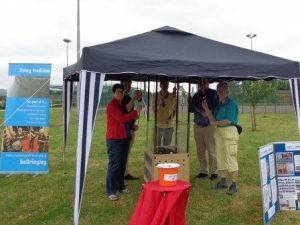 On Saturday 9th July 2016 the Minster bell ringers took Reg’s mobile mini ring “The Bicycle Ring on Tour” to the All Saints Academy Carnival. 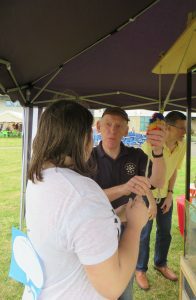 The weather was kind to us and although it didn’t rain we were glad of the gazebo as protection from the wind. 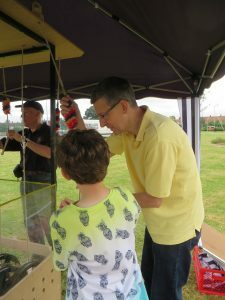 Amongst those who “had a go” was a lapsed ringer! A very successful afternoon forging links with All Saints Academy.